ABBA Hitmix Nr. 1 ABBA Your browser does not support the audio tag. ABBA Medley 1 ABBA Your browser does not support the audio tag. ABBA Medley 2 ABBA Your browser does not support the audio tag. ABBA Mix ABBA Your browser does not support the audio tag. Andante Andante ABBA Your browser does not support the audio tag. Angeleyes ABBA Your browser does not support the audio tag. Chiquitita ABBA Your browser does not support the audio tag. Dancing Queen ABBA Your browser does not support the audio tag. Does your mother know ABBA Your browser does not support the audio tag. Does your mother know? ABBA Your browser does not support the audio tag. Fernando ABBA Your browser does not support the audio tag. 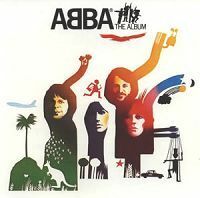 Fernando/I Do I Do I Do I Do ABBA Your browser does not support the audio tag.